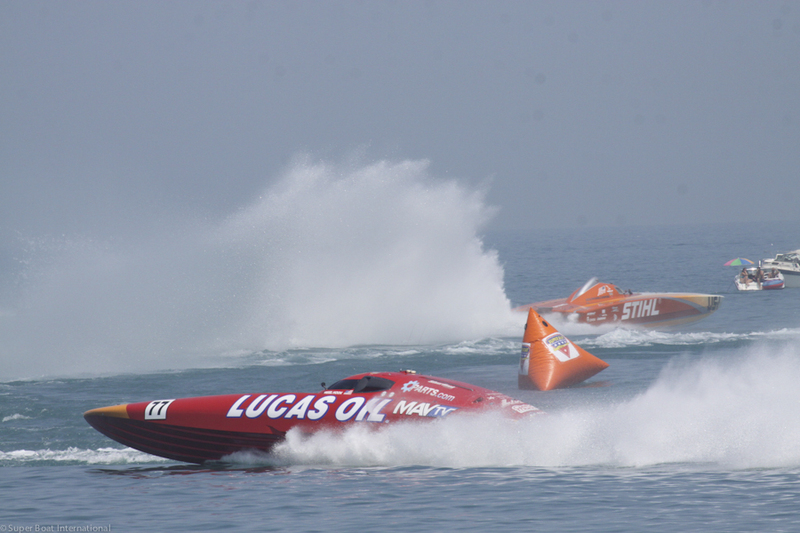 Other class winners that enjoyed success were SOS Venezuela (Super Stock Class), Black Pearl (P3 Class,), Absolutely Not (Super Vee Class) and Grinch Racing in the P4 Class. 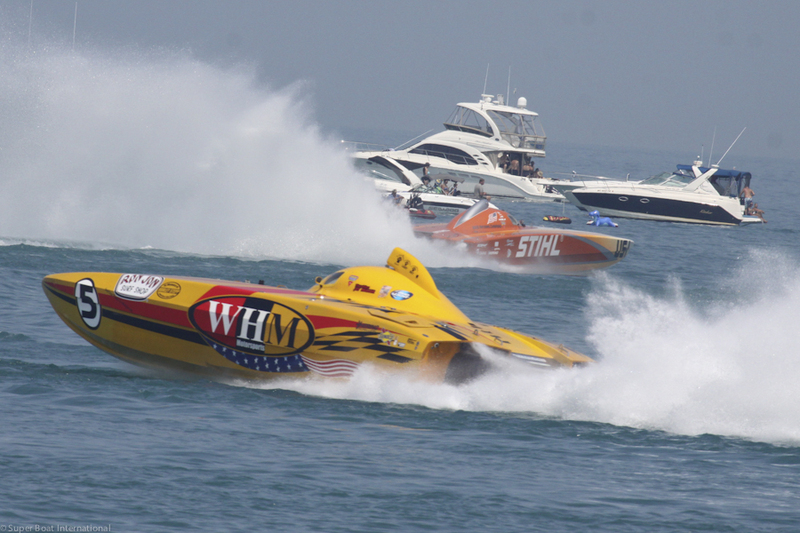 The Super Boat teams put on a great race that wowed, what appeared to be, record crowds. Not only did it appear to be record setting attendance for the race, but also the Taste of Michigan City and Parade/Block Party reached record crowds. The local event promoter from the LaPorte County CVB, Jack Arnett was very happy. “Everyone is happy here today, our sponsors, the Blue Chip and the fans that have come out. Great crowds all weekend, great weather and everything went really smooth. 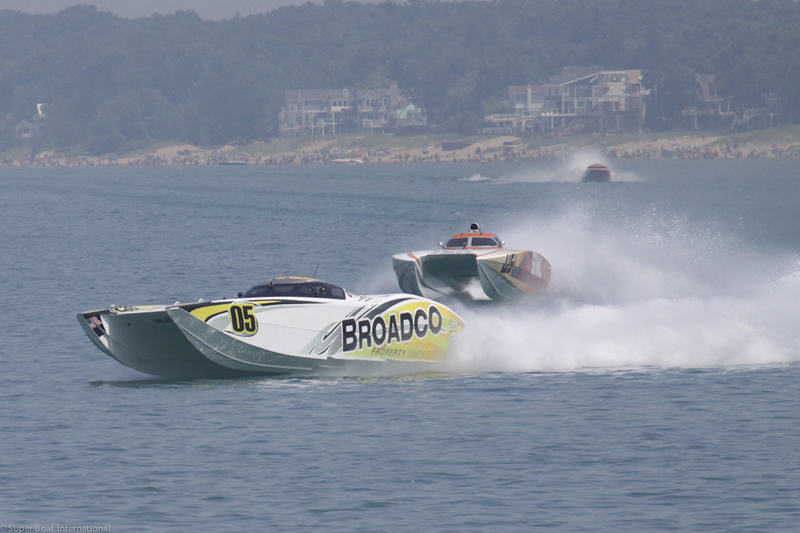 We are so thrilled to have Super Boat come here and race.” The Great Lakes Grand Prix organization was so pleased with the weekend’s success that they, along with Super Boat International (SBI), made a surprise announcement during the awards banquet, to a 5-year agreement to continue racing in Michigan City. After the announcement, John Carbonell, SBI President, remarked on how this community and group have made great strides in 6 years. “Every year has gotten better, from the local support and all the fans that come out to see our boats and watch the race. This year went so smoothly with Jack [Arnett] and the team he has put together. We work hard to bring the best boats and put on the most exciting show possible for everyone. This year just seemed like an exceptionally large crowd at the parade and on the beaches for the race. 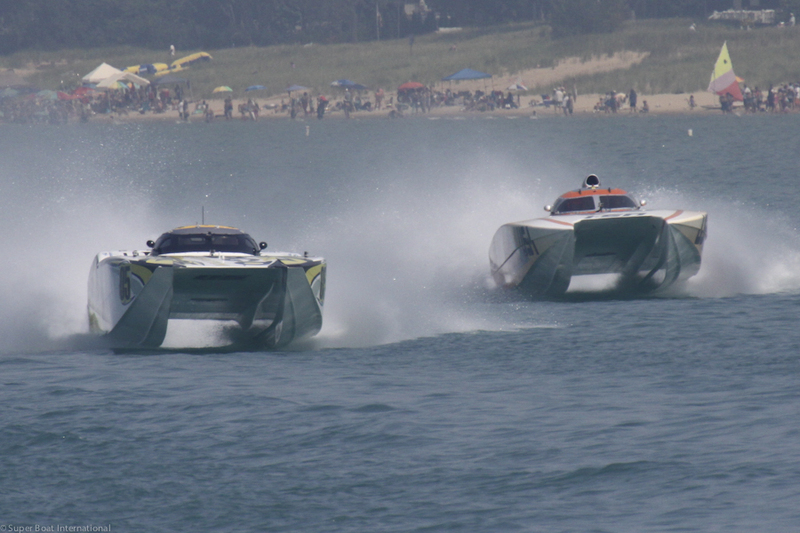 All teams raced in the 11:00am and 1:00pm heats, putting on record setting paces for the race. 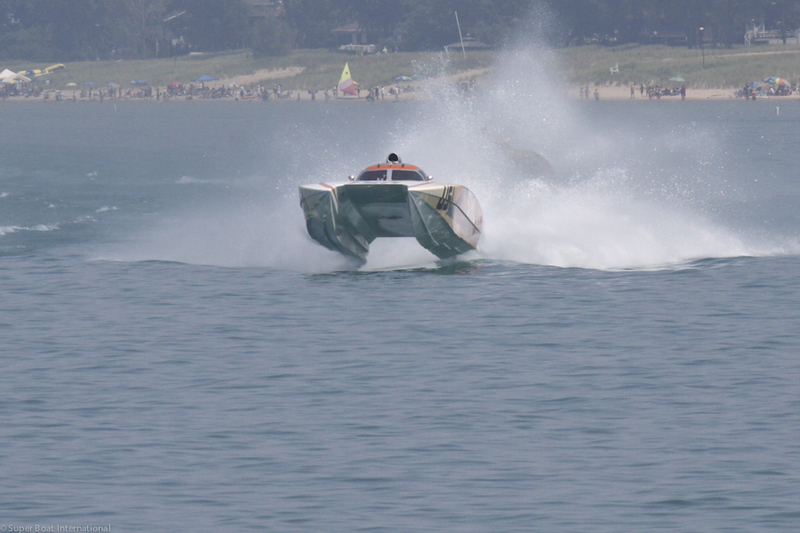 Regarding this year’s lake conditions, Lake Michigan delivered nearly the flattest water possible, which makes for the fastest speeds. Many teams like the calmer conditions; however, many favor tougher conditions and higher seas which tends to separate the more experienced teams from the rest of the field. The Super Stock Class saw some great action between the class winner, The Hulk, and Boatfloater.com. This group always showcases excitement and competition on the racecourse. Coming up later in the month of August, SBI will be premiering a new format with two full races on the same weekend. 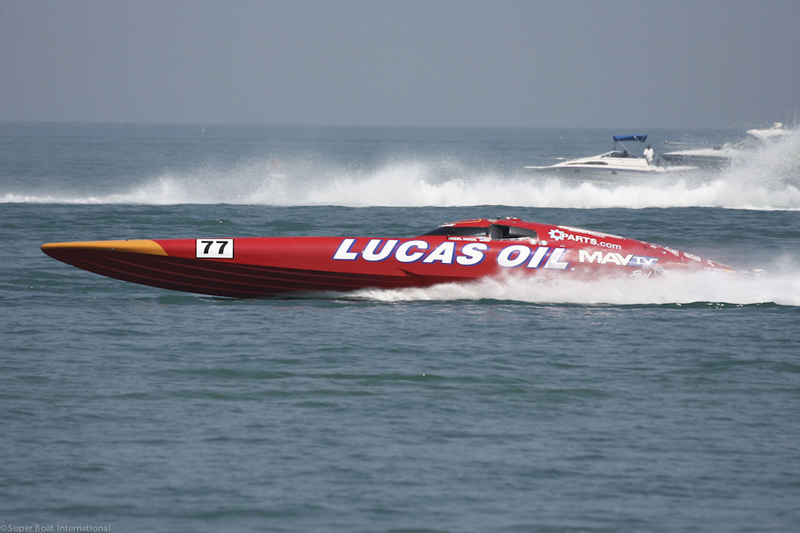 The first race is in Orange Beach, Alabama on Friday August 22nd. 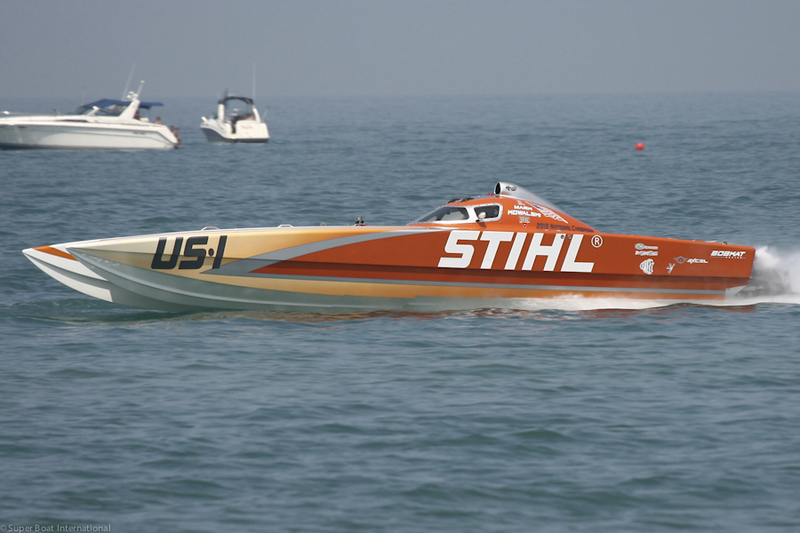 Teams will leave Pensacola, Florida by trailer in the morning to race in the Gulf and return via land after the race. On Sunday the 24th, teams will run in the calmer Pensacola Bay area. 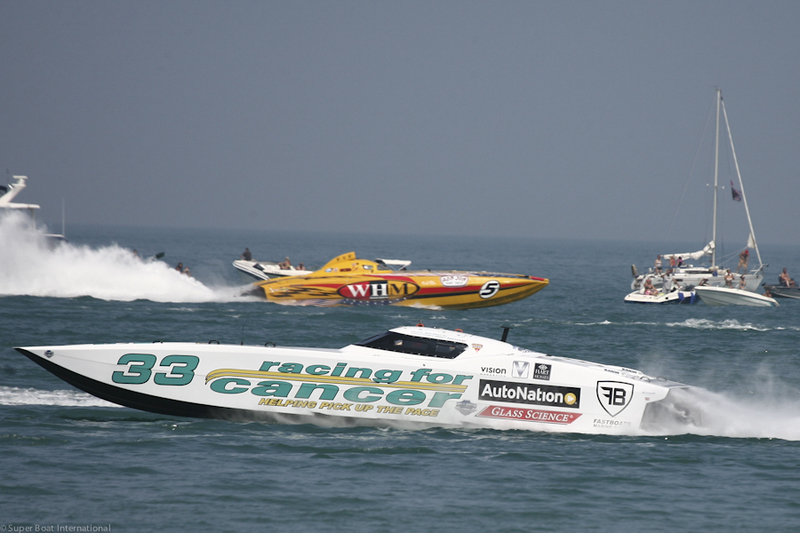 The next race on the Super Boat circuit is the 11th Annual Thunder on the Gulf and the Inaugural Pensacola Grand Prix on the weekend of August 20th-24th. Join the spectacle in Pensacola, Florida and, if you cannot make it, watch it live online at http://new.livestream.com/sbi/orangebeach2014 and http://new.livestream.com/sbi/pensacola2014.